Incubators have been around from the 1950’s, but became increasingly popular in the 1990’s reaching 7,000 incubators worldwide today [InBIA]. 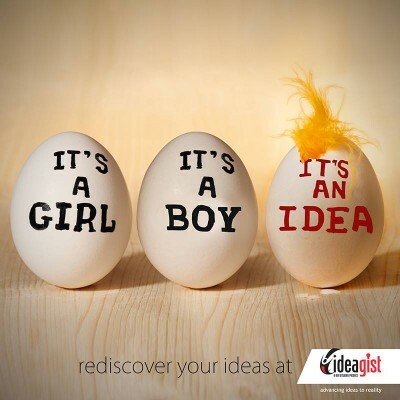 There is still a debate on how to define a business incubator. There are many competing ideas that include Accelerators, Co-Working Spaces, Science and Technology Parks, Entrepreneurship Centers, Makerspaces, and recently Super Hubs. In this article, I will try to focus only on virtual incubators. To learn more on this topic, please look for Growing New Ventures Creating New Jobs by Mark Rice and Jana Matthews. InBIA (formerly National Business Incubator Association), defines incubators as a catalyst tool for either regional or national economic development. Incubators offer a combination of space, mentoring, education/training and informal learning opportunities. Incubators typically charge monthly program fees or membership dues in exchange for workspace and access to program offerings, mentorship, or other value-added services. Incubators also host events to provide networking and learning opportunities for member companies and the local community. As the global economy transitions from labor based to knowledge-based, the need for dedicated office space and physical presence is diminishing and being replaced by virtual presence. A new generation of entrepreneurs has emerged, raised in the Internet age, that operate at the intersection of physical and virtual worlds giving rise to virtual incubators. These virtual incubators do not necessarily have a physical office, instead, they opt to provide service to their startups over the internet. They are just like the traditional incubators, sans the physical space. Development of raw ideas into viable businesses. Hand-holders offer an incubation service emphasizing training and mentoring, as opposed to access to finance or networking. They address the challenges entrepreneurs face developing their entrepreneurial capacities to be able to get their business off the ground. Network Boosters are incubators that convene entrepreneurs, investors, volunteers, and service providers to pool their collective offerings, rather than focusing on delivering services themselves. In this case, the incubator is a facilitator. Venture accelerators typically provide a short-term program (3 months) of training, mentoring, and networking support designed to prepare companies for external finance. In a broader sense, a virtual incubator can be defined as a catalyst for socio-economic development, providing a process for developing early-stage ideas into viable ventures. They offer formal and informal learning opportunities and connect entrepreneurs to an ecosystem of related services. While virtual incubators are still getting defined in a fast-changing world, they have a potential of disrupting the traditional business incubation model. What are the advantages of using virtual incubators? In my next article, I will cover pros and cons of a virtual incubation model as compare to traditional incubators. Special thanks to Dr. Brian Abraham and Dr. Rajiv Tandon for guiding me and making this article look smarter than the author. Act now before someone else executes your idea.